I know, I know, it’s not really a newsflash or anything. But today, during a much needed massage (I rarely get them and when I do, I instantly wonder why I don’t more often! ), I realized I cannot relax. I tense my shoulders, I close my eyes but they aren’t really that relaxed, sleepy shut, they are shut but still somewhat tense, and while I eventually relax, it’s usually near the end of the massage that I really feel like I’ve ‘succumbed’ to the massage and my body feels limp and serene. I use that as an example, a very real one, at that, and my seeming inability to loosen up (literally and figuratively!) and let go. It is *that* ingrained in me, to be go, go, go, that really relaxing, without something on my mind, a list, a reminder to do something, clutter I want to clear off the table etc. It’s always something. I do it with my workouts. (that is changing though, as I’ve written about here most recently and a top priority for me to revamp my mindset and stick with my ‘smarter, not harder!’ mindset and actually believe it when I do it, not do it and then harp on it for hours after, silly self guilt!). I do it with M. Yep, I do. And I hate it. Sometimes I just want to let go more around him, let him take the lead, release more. In every way (ahem). To melt into his hugs always, and not for just a moment. Whenever I catch myself rushing through THAT, I literally want to slap myself. Who does that? I do it with work. This has gotten better, but it still happens. I have this PR agency mentality (everything must be done…YESTERDAY. every deadline, everything, faster, faster, do it, do it) that I still haven’t shaken after three years *not* working at an agency, and I catch myself rushing through editing something, or writing something, or replying to an email. I need to relax in this way too. Take more time to think about a response. No knee jerk reaction. No let’s see how fast I can get this done and impress my boss…but at what cost? Quality? Stress? Self-imposed deadlines are my nemesis. I hear ya. This quality however makes you you. I am on that same cloud as you. I can’t relax, except in a massage session though, and sometime during ahem. But that’s new. And I say I want to be less uptight for lack of a better word. But where will that get me! Have your intentions, but continue being you! Happy new year. You raise a good point, it is me and that isn’t necessarily always a bad thing. just sometimes. there is a balance to it, and I don’t wan to get rid of it altogether, just equalize. Thank you! happy new year! I empathize! I am terrible at relaxing!! Are we the same person? Or related? Sometimes I wonder lol. 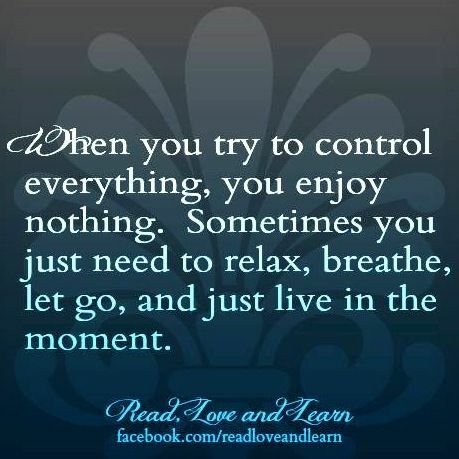 Love this as relaxing and taking time to slow down and clear my head is always a challenge for me. LOL! I kind of think we are 😉 It is a challenge, and we both do it, I know! So maybe it’s time for you to take time to step back as well and try to rebalance your mindset too? Girl, I hear you on this. BIG TIME. I have difficulty relaxing, too. Just ask CBG about this when we’re supposed to be having a “relaxing Sunday” at home…! This is something that I’m also working on. Just this past Friday, CBG and I were snowed in at home together. Normally I would get totally antsy and HATE every minute of it, but this time I focused on just relaxing into it (I mean, we were totally snowed in, the whole city was essentially shut down! ), since I didn’t really have that much of a choice. And here’s what I learned. Slowing down for a little while isn’t going to result in me coming to a grinding halt. The world is not going to end if I give myself a break. And in fact, it allowed me to wake up the next day ready, and refreshed — feeling like I could take on the world! ::Raises hand:: I don’t! Its super frustrating too, because I go to the massage and they’ll be like “you really need to stop tensing” and all I can do is think to myself how hard I’m chanting mentally to relax already. So you aren’t alone. I promise. I HEAR YOU! This is why it’s essential for me to be around Gentleman Jack at his house and without kids. I become nearly dumb because I shut down my brain! It’s so good for me though. Ha! so true!! We want them to join in our GSD (aka get sh*t done mode!) and they’re like but why, we are relaxing! I hear you, girl! I have this problem too. I’m constantly sitting with my shoulders hunched up around my ears and I cannot figure out why. I have the hardest time just sitting and “being.” I’m also thinking about how I should be doing things, accomplishing things, working on chores, etc. It’s exhausting. When/if you figure out how to handle it, please share!!! I really love this quote pic you posted on here. I believe I repinned that:) I SO feel you on this friend. This has been in the front of my mind daily in the past few weeks. Sit. Stay. Just sitting on the couch watching a Friends marathon with the kiddo and husband even though it killed me to not get up and switch the laundry. I keep asking myself-What am I rushing towards today? One day at a time though!! It is the perfect quote, isn’t it?! It’s HARD to do but I think it makes SUCH a difference in the middle of chaos. We can do this together!! Hmmmm. I found the observation that you “physically” can’t relax anymore than you can emotionally and intellectually to be very interesting. While I agree with those who said that it’s just part of who you are, I also sympathize because I know first hand how much additional stress you can place on yourself by not being able to go with the flow. It’s difficult to both accept yourself and yet, still want to move to a better, happier version of yourself. I was very pleased to read that you stayed in bed instead of working out this morning. I think that was big for you. I am so guilty of putting stress on MYSELF. Why do I do that?! Isn’t there enough pressure and stress in this world without adding more?! So I am working on it – even though it IS part of who I am, I don’t want it to ruin life for me either, the whole stealing joy thing. Right? Scary that we are so alike, not that I am surprised at all. I am going to use this year to ease up on my inability to relax, I just think it bleeds into so many areas of life, ya know?